A program is exposing high school students from throughout the Hidalgo County area to actual court hearings. PHARR — Sentences were issued in front of students at Pharr-San Juan-Alamo’s Southwest Early College High School last Friday, this as part of a program seeking to expose students to law careers and the dangers of getting into trouble. 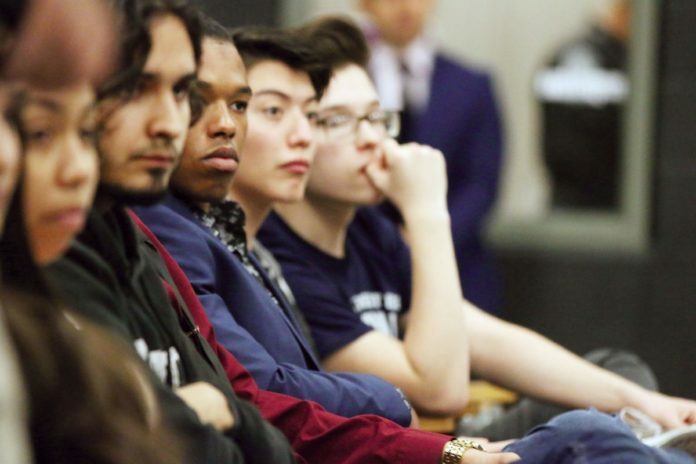 The courtroom proceedings are being taken to PSJA ISD high schools as part of a new Pre-Law Institute intended to expose students interested in the field to the different careers they can pursue, as well as the dangers posed by drugs and alcohol. But Vasquez is also collaborating with other districts including La Joya, Weslaco and Hidalgo to hold these hearings. Law allows these proceedings to take place only for crimes having to do with alcohol and drugs, Vasquez clarified, such as driving while intoxicated or possession of controlled substance charges. All defendants are also in agreement to have the proceedings take place outside the courtroom. Southwest Early College High School Principal Ranulfo Marquez was part of a group of PSJA ISD officials who began talking about creating the new institute around September, and right now the program is in the recruiting stages. The institute is set to be offered district-wide and aims to take mock trials further, exposing students interested in pursuing careers in law to the different pathways by providing court hearings, guest speakers and field trips. The program will be adopted as an extracurricular activity or club and crafted to provide them a better understanding of civil government and law and compliment the early college program, Marquez said. It might even lead to internships. Recruiting will go on until January as students will be expected to commit to the institute late that month. So far they will continue doing campus presentations. Vasquez’s next stop is La Joya school district, where he said a hearing will be held at Juarez-Lincoln High School in the upcoming weeks. Conversations are solidifying with other schools around the county.